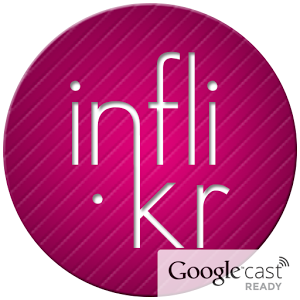 Inflickr let you explore Flickr photos on Chromecast. 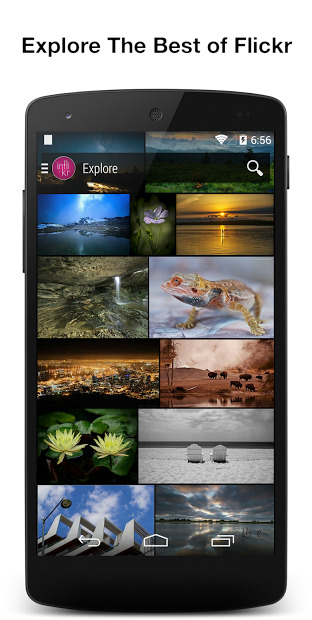 It is easy to navigate into the app and will look familiar to you if you use Instagram as well. Share your content on many social media like Facebook, Twitter, Google+, Tumblr… Add your friends and comment their photos. 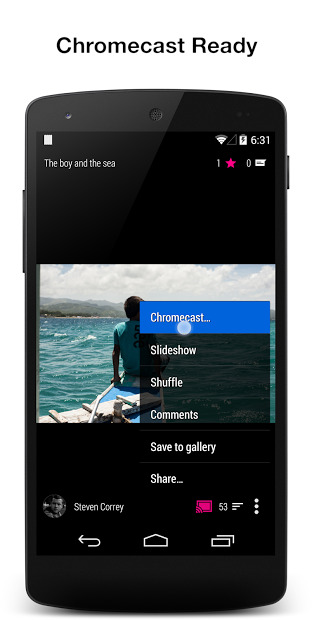 Watch photos in slideshow mode, and download desired photos to your device gallery or Dropbox.